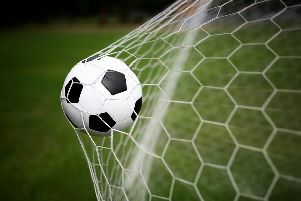 Little Common Football Club is bidding for a second victory over the Southern Combination League Premier Division leaders in less than three weeks. The Commoners will travel to table-topping Horsham YMCA in the league on Saturday hoping to repeat their 3-1 Sussex Senior Challenge Cup success at the same venue on Tuesday November 6. Common player-manager Russell Eldridge said: “I think that performance should give us a bit of confidence and a bit of a boost. Maybe they had a slightly different team, but they certainly won’t be taking anything for granted after our last performance against them. Horsham are four points clear at the top of the table having won 13 of their 16 league fixtures so far. Common are 15th with 15 points from as many matches and have lost only one of their last seven in all competitions. “It’s going to be another extremely tough game,” continued Eldridge, a one-time Horsham YMCA player. “It’s vitally important we go there again and put in a good performance. “The performances have been okay of late and any game you put in a performance to the best of your ability, the outcome will take care of itself. “We won’t really change too much. We’ve got a way of playing now where everyone knows their roles and responsibilities, and that’s how we’ll continue to play moving forwards. Common’s third round tie at home to Haywards Heath Town in the Sussex Senior Cup has been pencilled in for Tuesday December 4.